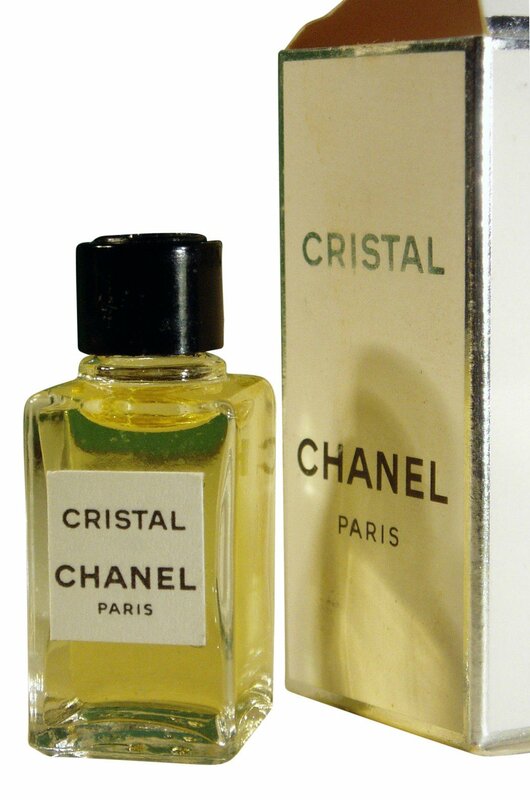 Cristalle is a popular perfume by Chanel for women and was released in 1974. The scent is green-fresh. It is still in production. 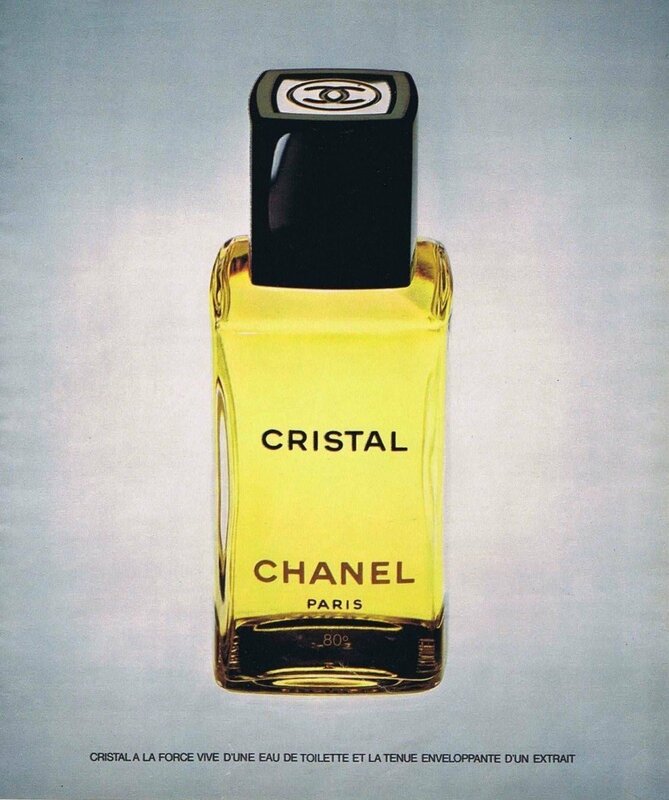 I've dedicated a statement to Cristalle before, but this special Chanel deserves a comment - like so many other fragrances, I know, but perfume and time are reciprocally proportional to each other in my case. It is special because, alongside all the new releases, it actually seems to have fallen out of time, but not because it comes along old-fashioned, but because it so pleasantly stands out from the banal, pleasing uniform trend, whose impulses also thrive in the perfume laboratory of the time-honoured fashion house. Cristalle is not a difficult fragrance, it does not have the opulent, finely differentiated noblesse of many Exclusifs, but is unadorned beautiful, unobtrusive and - the best - free of any sweetness and watery powdery boredom à la N°5 L'Eau. He stands a little alone and resembles N°19 EdT. Cristalle is bitter like a frosty spring morning, cool like pale porcelain stone. The cold, not tangy-freshening lemon - almost metallic-clear, as if you were bowing a crystal - embeds itself in a delicate heart of hyacinth, light violet and green floral iridescent. Softer tones soften the initial austerity, the flowery centre is interwoven silvery transparent, supported by a very delicate mossy background, more airy-grey than warm dark green. No one will wear my silver ring"
Whoever wears it walks upright, perhaps sometimes with a wistful blink, but straight ahead. Without looking back. This fragrance, whilst being a classic, is certainly (not) for everyone! What hits me upon initial impression is the bitterness of it all. A hit of very citric lemon and oakmoss which stays throughout the life of the fragrance, coupled with a floral drydown (I'm detecting a little hedione, or jasmin-like smell). This is very "green" and sparkling, hence the name Cristalle. It smells very very mossy and lemony acidic, almost giving the impression to me of walking through a forest with the trees and flowers still wet from the spring rain. To me it doesn't exude "freshness" because of the heavy oakmoss vibe, but I can see what other people mean when they describe it that way. Who would wear this fragrance? Well, anyone who likes "green" or "hesperidic" (i.e. slightly citric) scents... or those who like a little bitterness in their fragrances. On that kind of person it will be a holy grail fragrance. 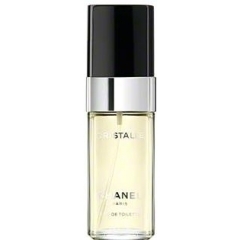 For me, I enjoy it (it's also completely unisex as an EDT), but I can't fit into it so easily. Overall... is it well made? Yes. Is it a classic? Yes. For everyone? Well, for those who like this type of scent... green, bitter, mossy, damp, citric and sparkling! Like rain dew on flowers and musty, moss-covered tree logs in the forest after a downpour of heavy spring rain. You've done it again Chanel... (to me) this is slightly disturbing, yet unmistakably unique! Word on the street is that this fragrance in vintage form is sought after. Yes well the demonic and competitive side of me always tends to seize the opportunity when I have a chance. So I went to the store, where they have a BNIB Cristalle just minding her own business, looking for a good home. I'm pretty good at giving fragrances a good home so I gave her a try.Bad Move on my part. What the what? This crap is so overly citric it's pathetic. Who wears this stuff? One sniff threw me into a coughing fit and had me wheezing (I don't have asthma). Solidly sour and equally offensive, I knew there was no way I would reconsider. We had a brief moment, lasted about 15 seconds and I knew in my heart of hearts that this Vintage Chanel would have to wait for a different taxi because there is no way I'm giving her a ride home! I told her to take a hike! None of the listed notes were present, my nose only smelled bitterness. Sour, rancid lemons or limes. Nasty, just nasty. I carefully placed her back into her cardboard coach, and gave her a final salutation. Peace out my friend, don't call me, I'll call you. I’ve really enjoyed chypre fragrances for a while and I have Cristalle to thank. 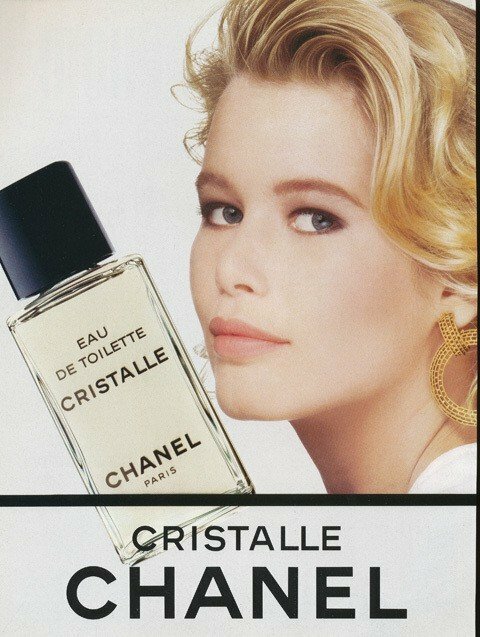 When I first smelled Cristalle (many years ago before I really became a perfume hobbyist) I didn’t really know anything about categories of fragrances or what made them what they were. It was 1982 and I was in college. I wore Antaeus, Kouros, No 5, and Je Reviens. Powerhouse men’s 80s and lady-like floral aldehydes. When I tried Cristalle at some department store or other, I had no idea what to make of it. It’s as if this had dropped in from space. I can’t say I loved it, but it marked me. When I smelled it again many years later I found it simply gorgeous. It smelled just as it had the first time, but I had changed. I was ready for it. It is pristine. I know some find it off-putting (even many who like it) but I find it has just the right timbre, the perfect inflection. It is an odd, spare chord and might not be particularly harmonious in a feel-good, symphonic sense but it has a perfect tonality. My only difficulty with it (as with both No 19 edt and Pour Monsieur) is that it just doesn’t last for me. It has just a fraction more lasting power than an eau de cologne. Despite this, I love its evolution over time. It starts green, strong, astringent and then has a fairly quick transition to a mossy, melon-like floral like nothing else I’ve smelled. From this point it just sort of blows away, becoming a ghost of itself, but, for an hour or so, a recognizable one. Fresh and flowery -green, it's the perfect scent to wear in spring-summer for a fresh touch of class.